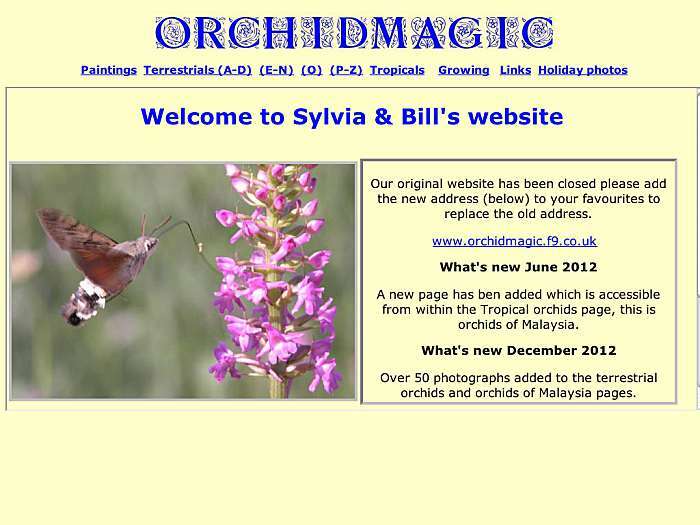 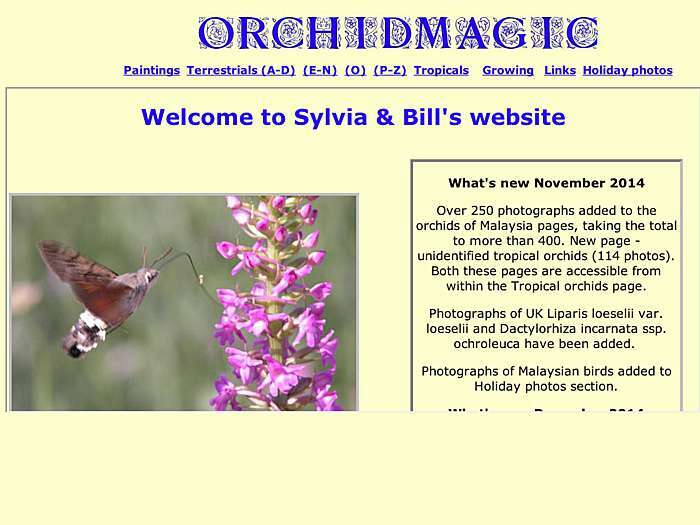 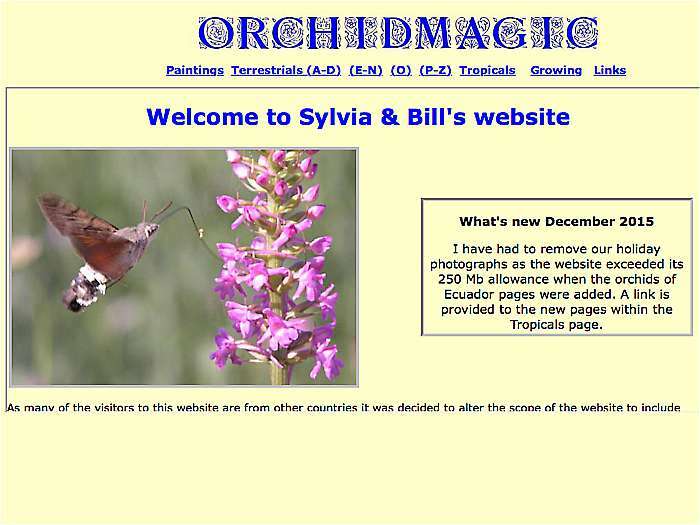 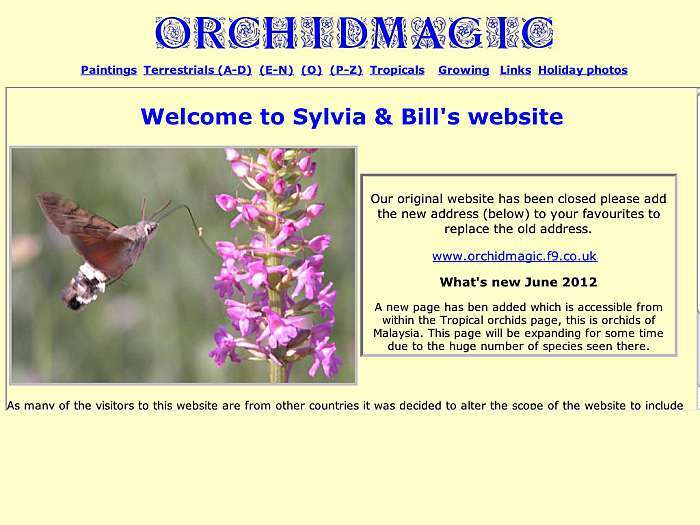 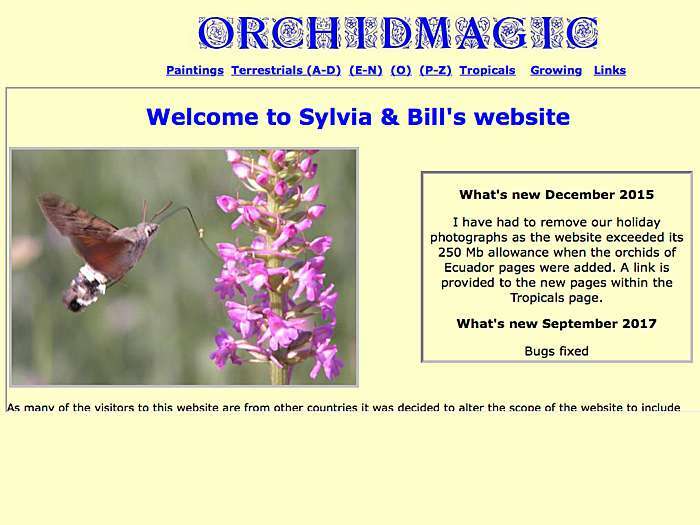 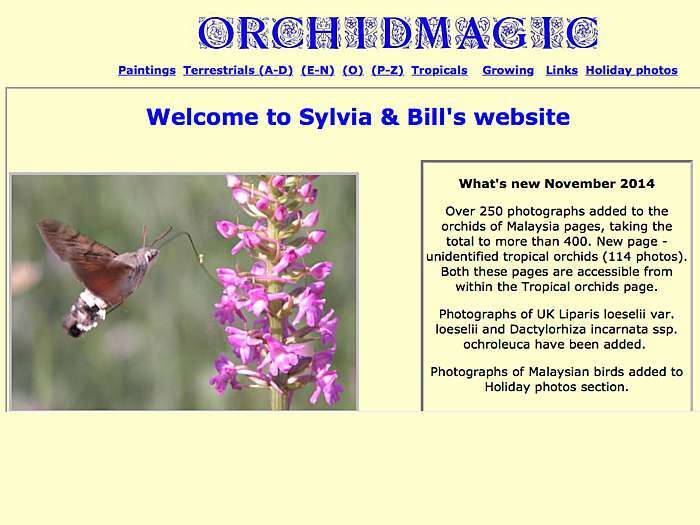 Sylvia and Bill's orchid site features art and photographs. 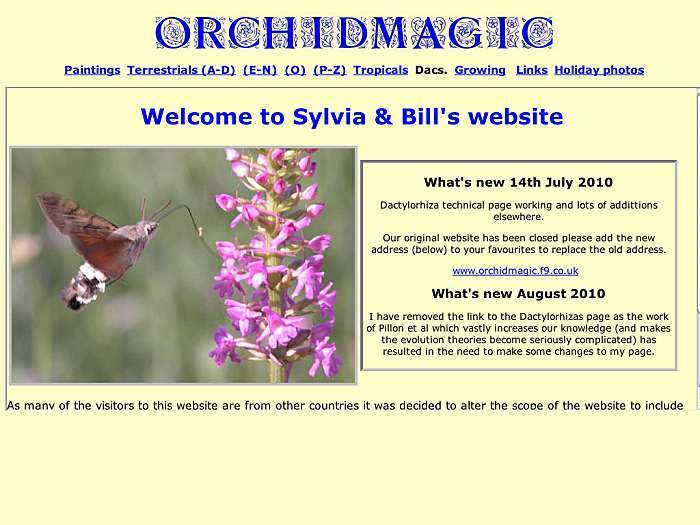 Info on raising orchids from seed in a kitchen, growing easy terrestrial orchids such as Epipactis palustris and Dactylorhizas. 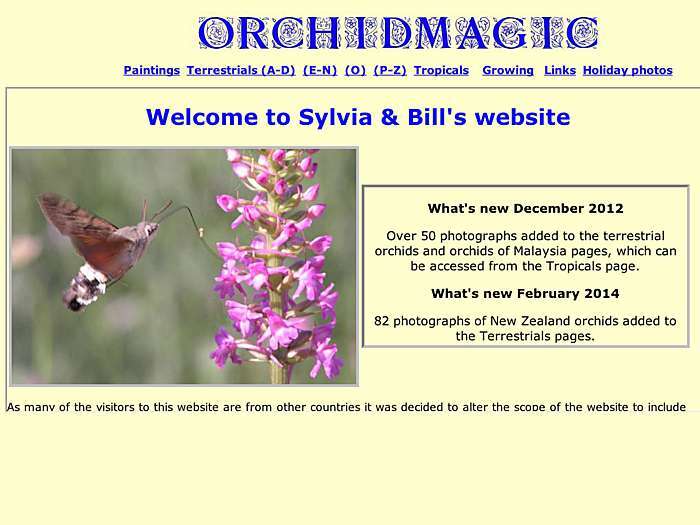 Some information is given about species featured on the website. United Kingdom.